Internal Medicine West is looking for an IM for their very busy practice. Our practice is a proud member of Covenant Health, the region’s top performing healthcare network whose mission is to improve the health of the communities we serve. We pledge to put our patients first every day, and strive for excellence in everything we do. 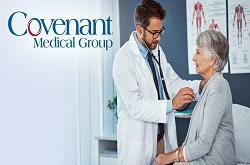 Covenant Health is the region’s top-performing healthcare network with nine acute-care hospitals, patient and specialty services, and Covenant Medical Group, our area’s fastest-growing physician practice division. Headquartered in Knoxville, Covenant Health is a community-owned, not-for-profit healthcare system and the area’s largest employer. Our more than 10,000 employees, volunteers, and 1,500 affiliated physicians are dedicated to improving the quality of life for the more than one million patients and families we serve every year. Covenant Health is the only healthcare system in East Tennessee to be named three years in a row by Forbes as One of America’s Best Employers, and Best Employers for Women in 2018.